It’s out with the old and in with the new as we kick off 2019 by introducing our brand new Creme Prodigieuse Boost range. As we head into a new year, one thing is still very much a constant - and that’s the damaging effects of a busy lifestyle and urban environments on our skin. 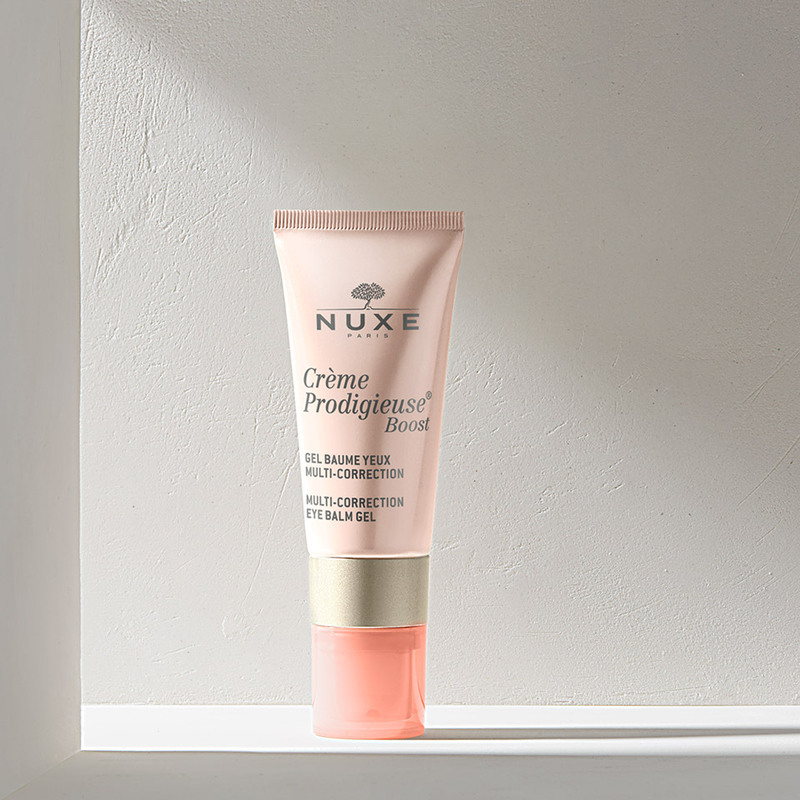 So here at NUXE we’re proud to launch Creme Prodigieuse Boost, a new generation of multi-corrective skincare to protect and rejuvenate stressed and damaged skin with a range of six incredible natural skincare products. So why does lifestyle and the environment affect our skin so much? Fatigue and stress hugely disrupt cellular function, whilst urban environments, including exposure to pollution and the sun also leave our skin vulnerable to further oxidative stress. This alters the skin’s components and structure, leading to a breakdown in collagen and the skin’s barrier function. Sound bad? It gets worse. The combination of these harmful factors can lead to dehydration, irregularities, loss of radiance and most importantly, appearance of the first signs of ageing. 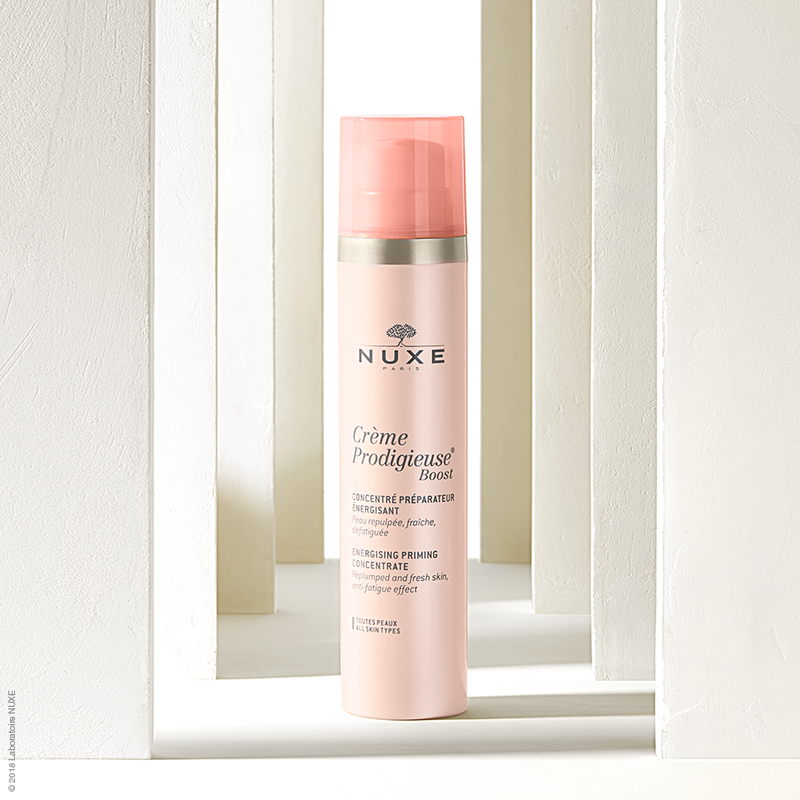 Luckily, it’s NUXE to the rescue once again - the Creme Prodigieuse Boost range has been formulated to fight all of these skin-harming factors. With powerful natural skincare ingredients, it contains Jasmine Flower complex to support antioxidant mechanisms, collagen-boosting Calendula Flower and Cellular Sugar to support skin-cell function. Each product also features a fresher and sparkling reinterpretation of our Huile Prodigieuse scent with green jasmine, pink lychee and white woods to make every application a rejuvenating delight. Start your routine by re-energising the skin with this concentrated treatment to refresh and invigorate the complexion. rom the range. Apply the Creme Prodigieuse Boost Priming Concentrate morning and/or evening before daily care to the face, neck and décolleté. Make light tapping movements as you massage into the skin to stimulate microcirculation. Our Gel and Silky Creams help combat the effects of a busy lifestyle and urban environments with morning and evening application. Day after day the skin appears more luminous, full and relaxed. Opt for the Gel Cream if your skin leans to the oilier side, whilst the Silky Cream is perfect for drier skin types with the addition of nourishing macadamia oil. Tired, dark circles are one of the most tell-tale signs of environmental and lifestyle-lead stress. Smooth and rejuvenate the eye-area with our targeted Multi-Correction Eye Balm Gel. As well as containing the range’s key ingredients, the eye balm also features botanical caffeine to decongest puffiness and hazelnut oil to strengthen the eye’s fragile protective barrier. Apply morning and evening for instant hydration and freshness and after continued use, reveal smooth, illuminated under-eyes with a noticeable reduction in dark circles. Sleep is crucial for combatting the effects of a busy lifestyle and environmental stress on our skin, as this is when our skin best repairs and regenerates. The Recovery Night Oil Balm boosts collagen synthesis, combats oxidative stress and promotes cellular activity as we sleep. With the added natural skincare ingredient of Nopal Flower Extract, it also stimulates natural exfoliation and cell renewal to reveal rested and refreshed skin each morning. Night after night, watch as the skin appears stronger, fuller and more youthful. Protect and rejuvenate your skin by shopping the full Creme Prodigieuse Boost range on our website here.